Recently, I began an editing service business called Writing Endeavors®. While I’m happy for you to procure my services, what follows isn’t necessarily about the business. It’s more about the process of actualizing dreams. People ask me all the time how I do fill_in_the_blank. The answer is simple. I just do it. Take this business for example. Over the years, friends have asked me to edit work for them. There have been times when I decline and pass the work on to someone else. Sometimes I’ve edited for free. Other times, I’ve worked more like an independent contractor; we create an agreement and the person pays me. As recently as February, I edited a first-time book for a friend’s son. Shortly after, a thought occurred. The urge to begin my own editing service business flashed in my mind. I needed to stop passing work to colleagues and friends and do it myself…for a fee. The next step was to tell Dwight. Announcing my plans to him somehow solidifies things. He’s been with me long enough to know that once I say it, then it’s as good as done. What happens next is what I’ve learned to be the difference between myself and other people. I typically research how to do things while I’m doing it. For example, I didn’t know if I should create a business first, or trademark a name first? Well, after working with Legal Zoom, I found out that you create the business first. So, I did that. The business was created March 21st. Afterwards, I trademarked the business’s name. During that process, I learned the difference between the little TM symbol and the R in a circle sign. The first is something you can use, whether you registered the name or not. The latter means registered trademark and allows the owner to sue if someone else tries to use it. More questions cropped up, as is common with on-the-job training. Should I create a whole new website just for this business, separate from selling books and blogging? Should I pay for this website, or be comfortable with using an extension, like .wix? How about registering the business with the county? The state? The government? What’s required? When am I supposed to pay taxes on this business? I found all of that out…as…I…went…along. In fact, I just started editing a client’s dissertation, while still in process of learning more business-related info. I don’t want to paint an idyllic image. I’m not dancing through poppy fields while establishing a business. Functioning this way can sometimes be a tad stressful, like when the state notified me that I’d missed a deadline for reporting income, even though there was no income. But here’s the reality. I know that dreams might not materialize, unless I just begin. I know it’s important to just get going and trust that the rest will work itself out. I know this because it always does. So, I have one question. What are you waiting for? Thoughts for me to ponder. I want to pursue my dream…but I don’t know what my dream is. Or maybe something else is going on? I have a long drive planned this weekend, specifically to think about these things!! I completely agree with that. I think we’ve done a lot of people a great disservice with the whole pursue your passion concept. It’s not how everyone responds. I do believe in pursuing the “right” job, but passion just maybe doesn’t play into it. Thanks Patty! They really are 😉 And of course! I appreciate the advertising support. Thanks Letisha! I’m pretty excited about it. I’m glad you ended on that thought-provoking note. Thanks for the reminder. Congratulations wishing you much success. I am inspired to stay on my path for self publishing and starting my business. It is long and tedious but I will not give up. Thank you 🙂 Yes…never, ever give up! Best of luck to you! More time. LOL. That can’t be the excuse when you just added a whole business to your schedule. How do you find the time? Seriously though, I’ve learned to do everything a little at a time, instead of trying to accomplish everything all at once. Yep, taking it in pieces and doses. We’ll see what I can accomplish this summer. …speaking of which, did you get my emails? I did and I’ll be replying this afternoon with the form. Hectic week. Congratulations, Kathy! I don’t think there is a right or wrong way to start a business, there is your way and the guts to go ahead in the first place. 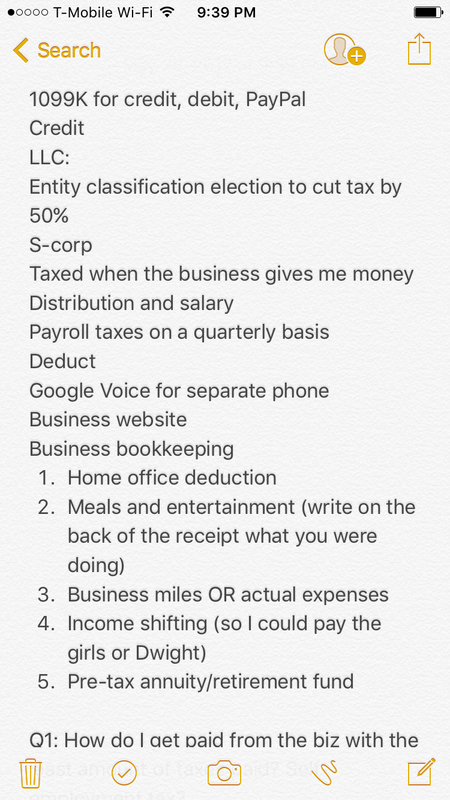 Yikes, all that paperwork but bet you’re soon an expert on business start-ups…and idea for another company helping prospective businesses! I love the name of your new enterprise – says it all! You’ve got a great looking website, easy to navigate and well-thought out. You’re well set up and best of luck! Congratulations, Kathy! That is terrific and at some point I will likely hire you! As to what I’m waiting for, it’s for my husband to get stable in his work and finances so I don’t have to be Mrs. Responsible for providing stable income and insurance. I fear this may never happen and where does that leave me? I love this, Kathy. Good for you. I’m doing it! Both with my business Forgiving Connects (for coaching) and my relationship. My heart is in and I put my actions on the line! A woman after my own heart. Act first. Sort out the details later. Love it! I had my own business for years and I learned as I worked. Sometimes you don’t know what you need until you start working. I wish you great success. I may need to use your services one day. “I typically research how to do things while I’m doing it”. This is me. I am this. Congratulations on launching Writing Endeavors! (I would add the registered trademark sign, but I have no clue how to do that on my computer). I really enjoyed this post and it gave me things to consider if/when I launch a business. Miriam, it’s crazy lol So true about “cramping my way of expression.” Sometimes I think, “I just want to edit; I don’t want to worry about this other stuff lol but I’m getting the hang of it. What kind of business did you do? Kathy, you’re something. And I mean that in a very good way. Kelley Kelley! I know you know better than many just what I’m talking about! I might have to call on you during this process to see how you keep it together lol I keep wondering how people with businesses that require buildings, equipment, or other people keep up with all of their paperwork. It’s true! You have to go for it or you’ll never know. And the paperwork is a whole other beast right! We are just NOW feeling like we’re getting it together. RIGHT! In many professions, you go to school and then you end up learning on the job anyway. I think you’re also right about the flow of this particular adventure. When you’re in the flow of things, then everything tends to lead to the next thing and it doesn’t seem so daunting/uphill. Thanks for all of these kind affirmations Joan! I appreciate it. OMGosh it is! That’s what I keep telling myself. I’ts just the beginning stages where you have to figure out all the particulars and then everything else flows. Thanks for the well wishes Judy! That quote is so true, one has to be bold, take a risk and pursue their dreams! Congrats Kathy for jumping off that cliff. 🙂 All the best! Absolutely Khaya! Thanks for that! Ha ha! I love bureaucracy! Missing an income reporting deadline with no income. So many questions! Like does your book income roll to the business or is that you personally, or another business? Are you doing developmental editing or copy editing or something else? What an exciting next chapter for you! Kathy, I am laughing whilst reading your both practical and amusing post. of expression. Needs be though.:). I have started business on the hop like you and it was very successful. Didn’t I work hard though. You go Kathy and best of luck to you.